Well fingers crossed that the last few days haven’t been our summer, and we can look forward to long, hazy days and BBQ season. Now I love a bbq and alfresco dinning, but get a bit bored of the usual sausage and burger offerings. This year I’ve decided to mix it up and try new things on the grilling front. 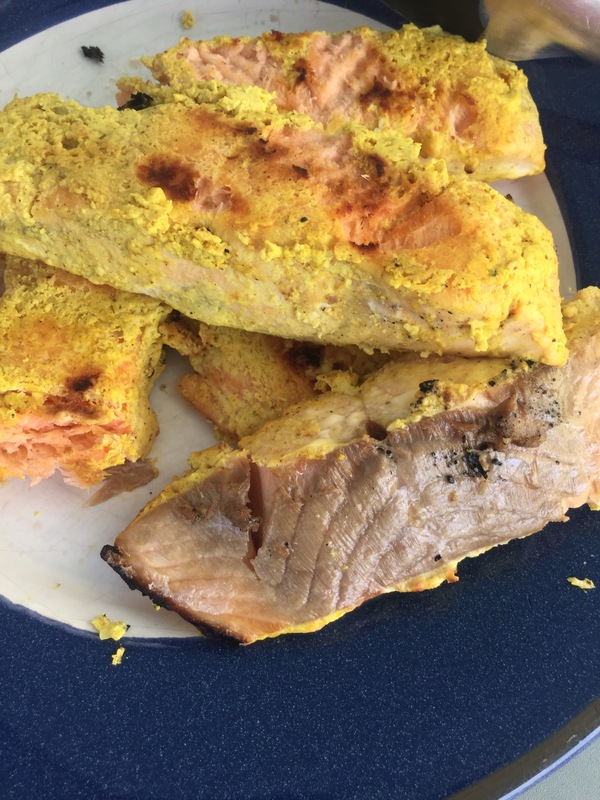 I know salmon isn’t a new thing, far from it, but I’ve been experimenting with marinades and I think this is yummy, and not as calorific as some of the shop brought offerings, it also includes one of my new favourites -turmeric, which also give a great colour to the fish as well. Salmon filets I used a side and cut it into portions. Chilli eithe fresh or flakes if you desire. 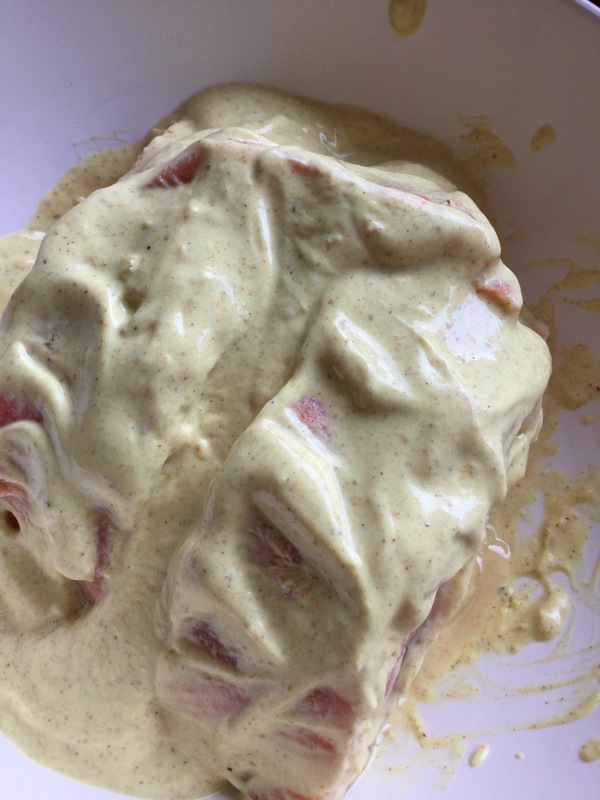 Mix together all he marinade ingredients then in a large bowl, pour over the salmon pieces. Gently stir to ensure the fish has a good covering. Cover and leave in the fridge for at least 4 hours. 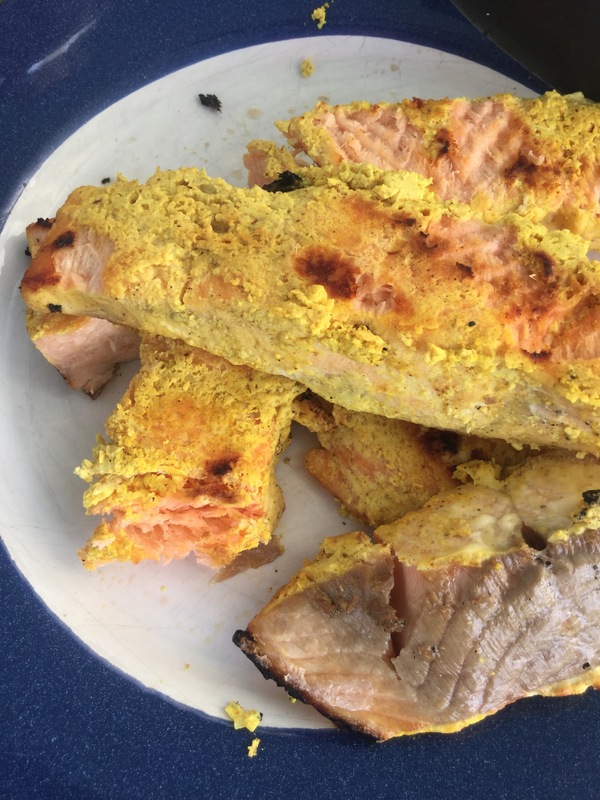 When it comes to cooking the fish, use the warmest part of your BBQ, learn from my mistake I put skin side down first, but flesh side down is better. Cook for 3-4 minutes on flesh side, then gently turn over and cook for another 2-3 minutes on the skin side. Turn every minute or so until the salmon is cooked through.